Cake Cut and Construction Details Revealed! We cut the cake at the HarbourCare meeting on Tuesday night, and revealed the internal construction details of the masterpiece. 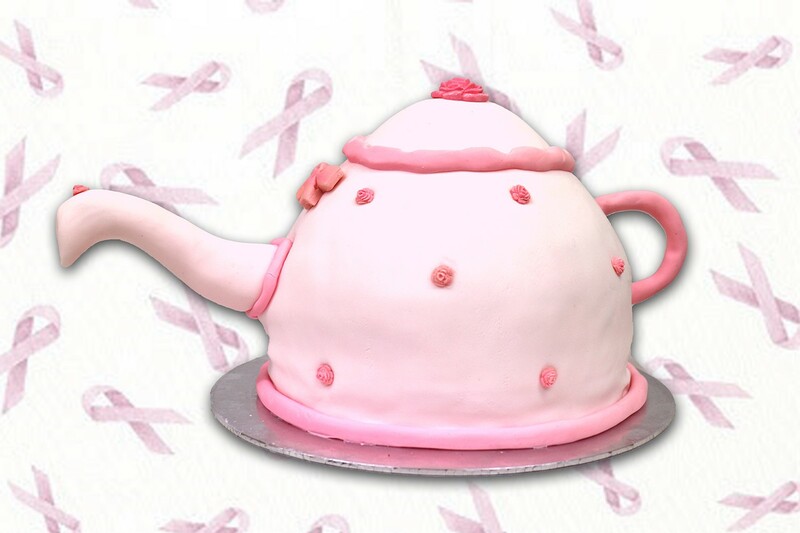 Construction details of the pink ribbon teapot cake finally revealed! The bottom half was cooked in a cake tin, while the top half was cooked in a bowl. It tasted as yummy as it looks! 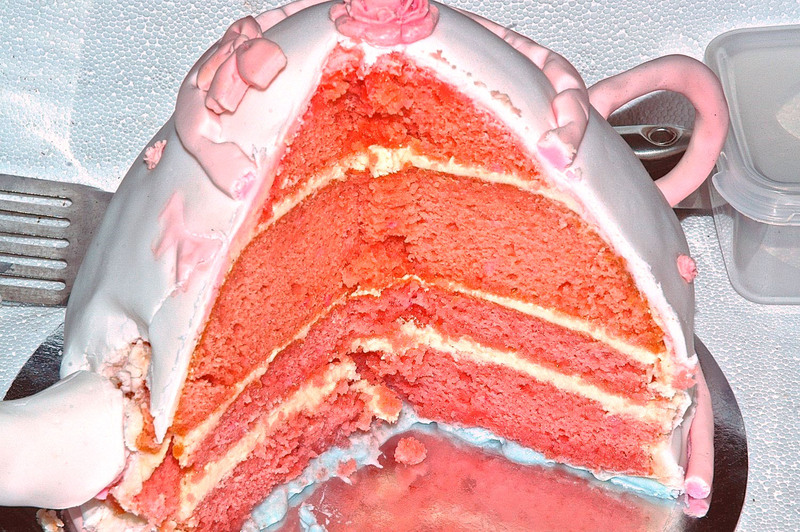 Pink Ribbon Cake for Supper! We have a fabulous cake for supper for our May meeting on Tuesday 6th! It is part of a fundraising effort for the NZ Breast Cancer Foundation. Doreen’s fabulous strawberry sponge cake, kindly photographed and enhanced by The Camera Shop in Warkworth. It even smells wonderful! Doreen Guest is running a series of breakfasts around the district this month to help raise funds for the NZ Breast Cancer Foundation. I went along to her first breakfast at the Warkworth Masonic Hall last Saturday morning. I bought a few things for breakfast, then bought three raffle tickets for a fabulous decorated strawberry sponge cake, in the shape of a teapot, which Doreen had made. To my surprise, later that day she sent me a text to say I had won the cake!